It is commonplace now for UN officials and American law professors to tell foreign governments that they are required by international law to liberalize their abortion laws. Just last month the UN Special Rapporteur on Health issued a report making this claim. The Secretary General endorsed his report. Shortly thereafter the UN High Commission on Human Rights said the same thing. Pro-life activists have been saying for years that this is a false assertion. Even so, some governments have started to listen and to liberalize their laws. The High Court of Colombia changed their abortion laws based on these assertions from a UN committee. Two judges on the Mexican High Court have made these assertions also. Enter the San Jose Articles, which were launched [last Thursday] in the UN press briefing room at UN headquarters in New York. Professor Robert George told UN press and observers that the San Jose Articles were drafted for the purpose of helping government officials fight back against such assertions. “The San Jose Articles were drafted by a large group of experts in law, medicine, and public policy. 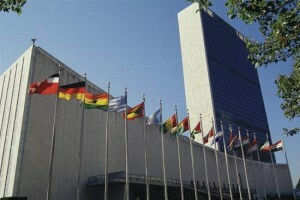 The Articles will support and assist those around the world who are coming under pressure from UN personnel and others who say falsely that governments are required by international law to repeal domestic laws protecting human beings in the embryonic and fetal stages of development against the violence of abortion” said George. The Articles were a year in the making including a two-day negotiating session in San Jose, Costa Rica in March. Altogether 29 experts helped draft and sign the document. Signatories to the Articles include Professor John Finnis of Oxford, Professor John Haldane of the University of St. Andrews, Francisco Tatad, the former majority leader of the Philippine Senate, Javier Borrego, former Judge of the European Court of Human Rights, Professor Carter Snead of UNESCO’s international committee on bioethics, and Lord Nicholas Windsor an outspoken pro-life proponent who is a member of the British Royal Family. In the coming days, the Articles will be launched in the British House of Lords, the European Parliament, and the Italian Parliament, also in Madrid, Washington DC, Santiago, Manila, Buenos Aires, Calgary and San Jose. The Articles can be viewed at a website… www.sanjosearticles.org.